Graphic Design And Illustration Using Adobe Illustrator is course run by SOLAS - eCollege, Dublin. For more information about Graphic Design And Illustration Using Adobe Illustrator at SOLAS - eCollege, please review the details below. The aim of The Adobe Certified Associate (ACA) Certification Programme is to allow you to demonstrate proficiency in Adobe Digital Communications and Graphic Design tools. Become a Certified Associate and stand apart from your peers, boost your confidence, and expand your career opportunities. The ACA certification validates basic, entry-level skills in digital communication, Graphic Design, creation, and design using Adobe tools. 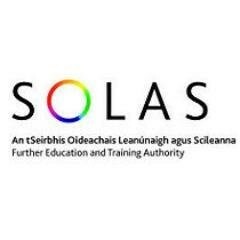 The Graphic Design And Illustration Using Adobe Illustrator course at SOLAS - eCollege is listed in Courses.ie's national courses finder.